Cardiff Diesel Services have been supporting one of the largest tug and work boat operators in Europe with their tug boat and crane barge operations in South and West Wales for several years. Our understanding of their operational needs and our ability to be able to service and support their diverse range of diesel engines and generators, has forged a close working relationship as one of their preferred suppliers. The company currently operates several large tug boats out of Pembroke Dock in South West Wales. Their main duties are the docking and un-docking of the very large LNG gas ships at South Hook LNG terminal. 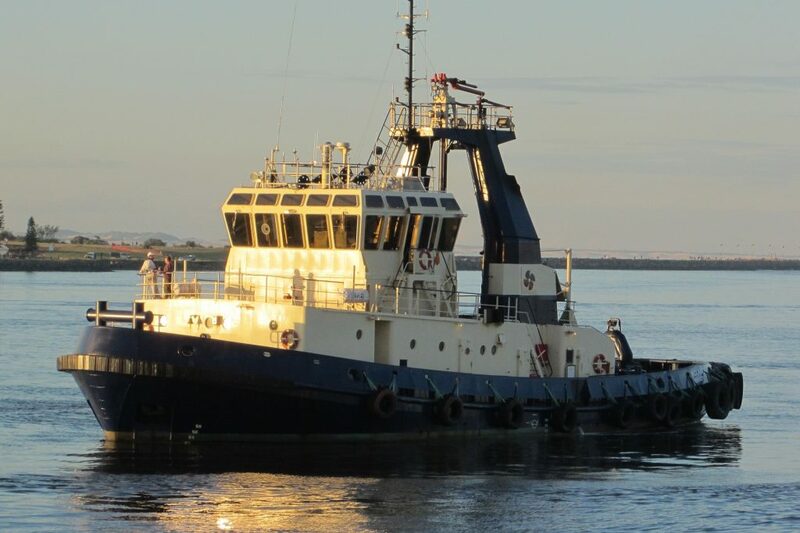 Our engineers were asked to attend two of their tug boats in the same day to rectify a problem of diesel in the lubricating oil on two Caterpillar C9 generators aboard their vessels. Their routine oil sampling had alerted them to the problem and given the current running hours of approximately 22,000hrs, two new sets of electronic Caterpillar Hydraulic Electronic Unit Injectors (HEUI) were sourced, as a well known cause of this issue in the past. The Caterpillar C9 generators, like many modern electronic engines, require a laptop service tool to enable diagnostics, testing and calibration of replacement components to be carried out. We have a fully licensed dealer service version of Caterpillar’s Electronic Technician that enables us to access, troubleshoot, download and program the full range of current Caterpillar electronic industrial and marine diesel engines and control systems. The tug boats each have three Caterpillar C9 generators on board. During their normal working duties the vessels must have two generators working and available at all times. Given that each vessel had one faulty generator, should they encounter a further problem with any other generators during this time the vessels would need to be taken out of service causing cancellations to dockings and financial penalties from the Port Authority. The customer requested that we replaced both sets of fuel injectors the same day, during a break in their operational duties between gas ships and test their operation before returning them to service. We attended both vessels the same day and successfully replaced the two sets of electronic fuel injectors that were at fault. Each new HEUI is supplied with a CD ROM containing the injector’s electronic trim file which needs to be programmed into the engine ECM control using the laptop service tool. After carrying out an oil and filter change on both engines they were run and tested on load. All engine data was checked for correct operation using the laptop service tool and results recorded for future use. Both vessels were returned back to service on time with three fully functioning generators on board.